Thor, who is now retired from the Philadelphia Police Department, and his owner, Sgt. Alvin Outlaw, pictured at work in 2014. Hairy, handsome, and brave, Philadelphia Police Department K-9 Thor served the department for five years alongside his partner, Officer Alvin Outlaw, sniffing out drugs and sending out ruminations on Twitter, where at one time he was the second-most-followed officer in the department. Soon, though, Thor will be getting a new leash on life thanks to a wheely great donation by actor Trevor Donovan, who, after hearing the German shepherd’s tale, offered to donate a doggie wheelchair to the now-retired K-9 officer. News of the donation was first reported by the celebrity website TMZ. 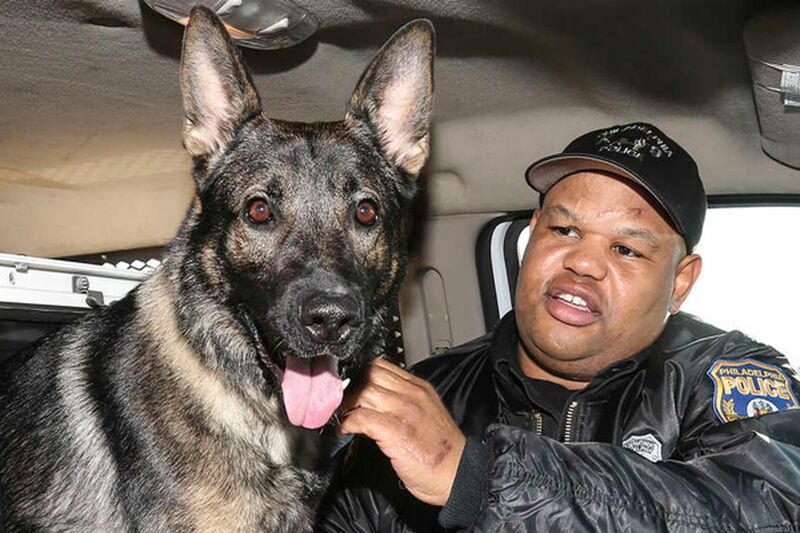 Officer Alvin Outlaw with Thor, the Philly police K-9 dog with a tweet disposition.